We’ve kept more to our word the last few weeks and have actually taken the time to relax after our recent trip around northeastern Europe. We’ve been home-basing in Frankfurt, thanks to our friend Al, and have really enjoyed things like cooking dinner and watching the new Orange is the New Black on Netflix. We also had the opportunity to catch up with some old friends from Armenia in some small towns in southern Germany, which we’ll write about one of these days. But, not surprisingly, we caught the travel bug again, so we are heading back on the road for another couple of weeks. Frankfurt has been great, but we’re ready for some warm weather and the beach! So, we’re off to Croatia, Bosnia, and Montenegro today! 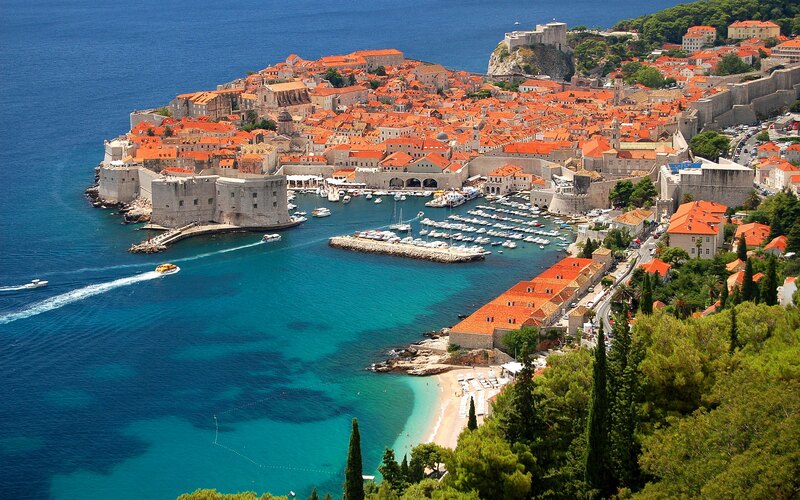 We fly into Dubrovnik, famed for its old city walls, and plan to make our way overland/overwater through some of the Dalmatian islands, including Lopud, Mljet, Hvar, before landing in Split. We may make a quick trip to the remote island of Vis before heading into Bosnia and eventually Montenegro. At that point, we’ll decide how we’re feeling, and may go on to Albania, Serbia, and/or Greece. We have no return ticket so we’ll see where the winds take us! This entry was posted in Bosnia, Croatia, Montenegro, Trip Planning. Bookmark the permalink. Makes me tired to read this, but sounds wonderful!